The United Nations and chief negotiators for the Middle East have failed the people in the region by forcing Israel’s evacuation from Southern Lebanon and Gaza without filling the void left by the withdrawal. It is time for Israel to destroy Hezbollah and remove that leverage from Iran and for the U.N. to ensure the Lebanese army has full control over its territory. That might give Iran’s paranoid mullahs something to think about. Egyptian President Hosni Mubarak and his aides were reportedly close to a deal with Hamas to return kidnapped I.D.F. Corporal Gilad Shalit. According to Mr. Mubarak, Syria forced Hamas to scuttle that deal. Syria has provided rear base support to many Palestinian groups during the Cold War and used them as a pressure switch against Israel. In the latest flare-up, Syria appears to have received Iran’s Fajr (Fajar) 3 missiles with a range of 45 kilometers, copied and modified them and shipped them recently to Hezbollah for use against Israel. 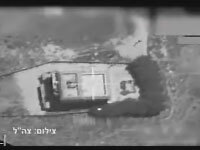 This revelation suggests that Iran and Syria have been planning a diversionary tactic for months while Israel has been asleep under the inexperienced, Moroccan-born Defense Minister Amir Peretz (Labour) and under Prime Minister Ehud Olmert (Kadima), a conservative firebrand who is also somewhat new to national politics, not to mention national defense. Commentators in the Israeli media have been openly questioning how the I.D.F. could let Hezbollah and Hamas kidnap three of its reserve soldiers when they were well aware of the threat. Even more troubling is the intelligence failure that led to the destruction of an Egyptian freighter and Israel’s Saar-5 corvette “Ahi Hanit.” The ship’s anti-missile system was reportedly switched off while operating within visible range of Lebanese shores. A fire caused by the missile led to the death of three sailors. The radar-guided missile was identified as a version of Chinese-made C-802, which China used to sell to Iran. After the U.S. made it difficult to transfer the missile, Iran turned to North Korea for help. Israel is unlikely to risk a war against Iran’s formidable military. But it should bring Hezbollah to its knees in order to send Iran a strong message that its Cold War-era war by proxy belongs in the trash bin. But dozens of Iranian Revolutionary Guard Corps [IRGC] soldiers reportedly fighting alongside Hezbollah, and even manning some of the missile batteries, could come under Israeli fire. If Hezbollah does transfer the two I.D.F. soldiers to Iran, as suggested by Israeli intelligence, then the latest conflict could overshadow the region. Iranian President Mahmoud Ahmadinejad has been trying to turn Israel’s retaliatory strike as a war against Islam. So did Tehran Ayatollah Mohammad Emami-Kashani. But Saudi Arabia, in a statement issued through the official Saudi Press Agency, blamed Hezbollah for starting this conflict that could consume all Arab nations in the region, suggesting clearly that Riyadh does not support Tehran’s position of turning this into anything bigger. So far, the U.N. has declined requests to consider deploying a monitoring force again. If the U.N., Lebanon and Syria will not take responsibility for Hezbollah, then someone else should eliminate this professional militia whose sole job is to attack Israel. The only predictable aspect of this latest conflict is that both Tehran and Damascus are behaving as they have for decades. They should not, however, count on support from their neighbors. All they have done so far is to highlight their duplicitous policies that encourage missile proliferation and conflicts.